Lenovo is a Chinese company that is most renowned for their tablets and convertible lines, as their smartphone line is mostly limited to various Asian regions. Lenovo was a pretty big presence at CES 2015, where the company launched a handful of new laptops, including the Lenovo LaVie and Flex series. The newest addition to its smartphone portfolio is the Lenovo Vibe Z3 Pro, which is a truly stylish smartphone that centers around the function the camera has and the design that surrounds it. Lenovo released two teaser images of the Vibe Z3 Pro, from which we can see that the company is targeting the niche crowds who are in love with smartphone photography. With that in mind, Lenovo is essentially going to rival the Lumix CM1 and Asus ZenFone Zoom, two of the most recent camera-centered smartphones on the international market. Lumia phones are usually the best when it comes to camera performance, but their design is usually flawed by protruding cameras and awkwardly placed sensor. 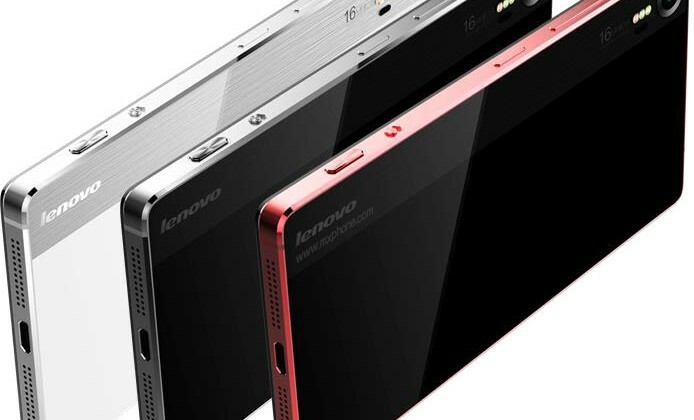 Lenovo proposes a solution for these kinds of design problems with the Vibe Z3 Pro. From the press images, we can tell that Lenovo is aiming to create a versatile smartphone that can be maneuvered easily, which means that you easily switch from smartphone format to a small, handheld compact camera format, as seen in the photos. We can make out a shutter button that will most likely act as a power button, too. The footprint and format of the phone is rather odd, to be honest, as it is a very long and/or tall smartphone which seems to close in size to a 7 inch tablet. Since Lenovo hasn’t released any official information about what the phone is packing, we can’t say for sure what kind of display we’re looking at right here. We do know for sure that the company decided to slap a 16 MP camera on the rear of the device, which will act as a powerful camera, improved with high-end software. Next to the sensor, the Lenovo Vibe Z3 Pro has a 3x LED flash and is equipped with optical image stabilization, which should make for a very neat camera setup. The design of the phone is also very appealing and makes me think of high-end compact cameras, to be fair. Even though the form factor is rather odd, we can’t deny that the phone itself looks absolutely amazing. From what we can tell, the device’s build and construction will be made up of two main ingredients: metal and glass, which should result in a fairly durable chassis. Since we’ve no confirmation on specs, we’re going to set you guys up with the current rumors that are going around about the handset. Namely, a 5 inch display with a 1080*1920 resolution, which is a bit odd for a futuristic camera phone, but we like the proposition as it would conserve some precious battery life. Under the hood, Lenovo will most likely place a Snapdragon 615 CPU, 3 GB RAM and 32 GB internal storage, backed by a microSD card slot if that’s not enough. Most likely, Lenovo will endow this phone with the latest software from Google, namely Android 5.0 Lollipop. 4G LTE should be part of most phones launched in 2015, so we’re expecting that to show up on the Lenovo Vibe Z3 Pro, too. Even though the Chinese company hasn’t released any official information about release date, pricing and availability, we think it is safe to assume that the Lenovo Vibe Z3 Pro will show up at the Mobile World Congress in March. We are truly excited about this phone, especially about the pricing Lenovo will choose for it. We’re looking forward to the MWC as it is shaping up to be one of the most notable trade shows of the past few years.